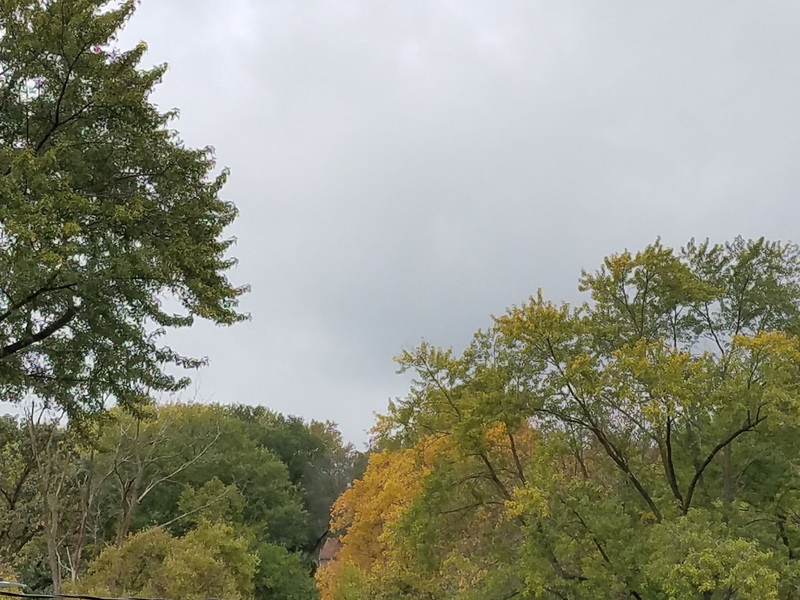 We're deep into our fall activities. These activities are some of my favorite all year long! I love our fall walks, arts and crafts, and soooo many sensory activities. We've finally settled into the new routine (that only took 6 weeks!) 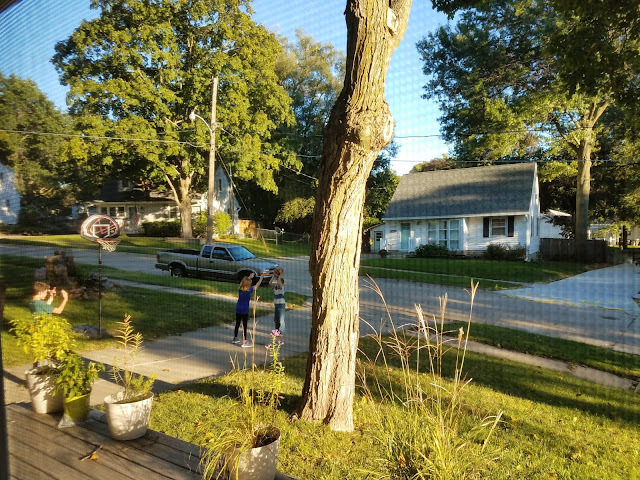 and the kiddos are doing a great job with everything. While the big kids are still asked and spoken about daily, our days have been running as smoothly as one can expect. A random stroller showed up in our yard and we have no idea where it came from! We left it there for about a week because surely someone would come back for a perfectly good stroller (plus there were items in the basket down below). 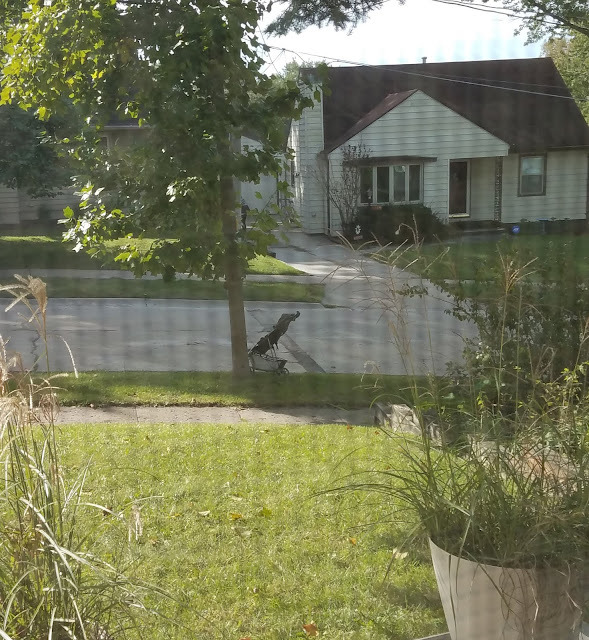 No one came back for it and it's now sitting in front of my garage because I don't know what to do with it. Now you're wondering why I don't do something with it? Well, you see, every time I go near this stroller something happens. The first time MUSIC came from the stroller (which is why it stayed in the yard for so long quite honestly), then when I moved it by the garage the stroller started to shake, then mysterious items showed up in the bottom basket. I don't get spooked easily, but I really hope someone is just pranking me! 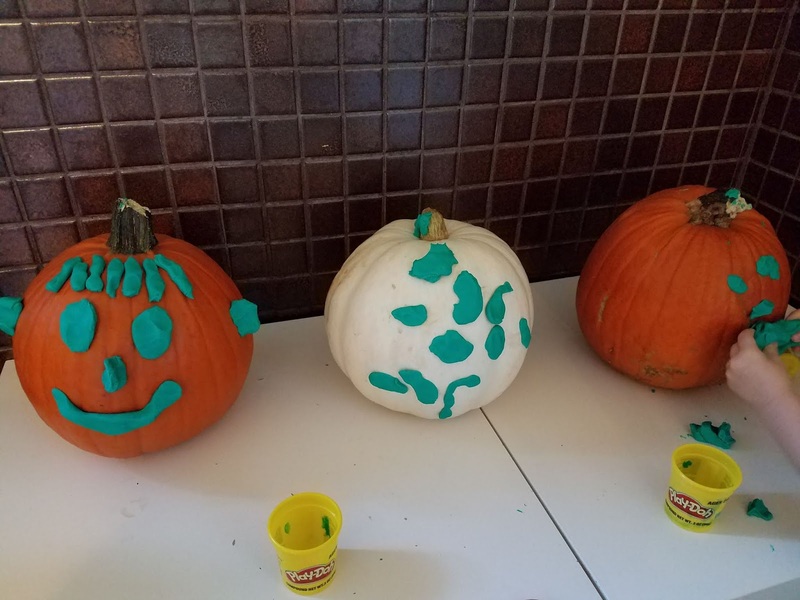 Play Doh pumpkins were a hit! I saw this on a blog for an alternative to carving pumpkins. Kids younger than 3 didn't really get to make a face or create something on the pumpkin--they mostly just broke the Play Doh into pieces and stuck it on the pumpkins as best they could. Kids over 3 made some really fun pumpkin faces and had a blast with it! 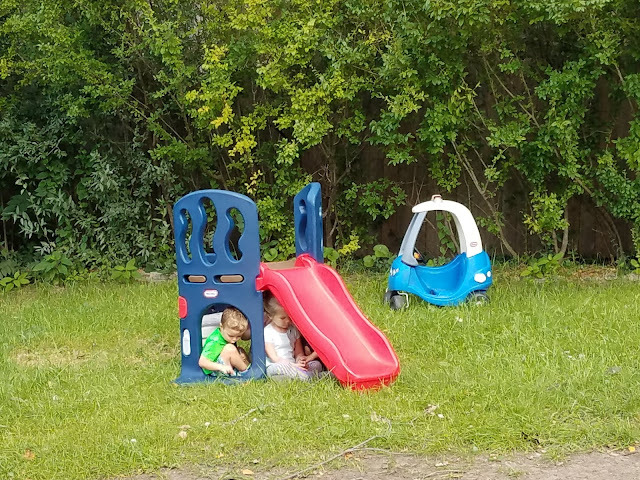 When the kids play hide n' seek in the backyard and they all hide together in the same spot over and over again. It wasn't exactly a thrilling game, but they were happy with it. All it took was one kid exclaiming "there's a dead bumble bee in this little sink!" before everyone was over there deciding what should happen with the bumble bee. It was decided they would use some mud from the mud kitchen and make bumble bee soup. Most of the time my evenings are spent in meetings or doing things for the Des Moines Children's Museum. Sometimes, I get to play on the weeknights. 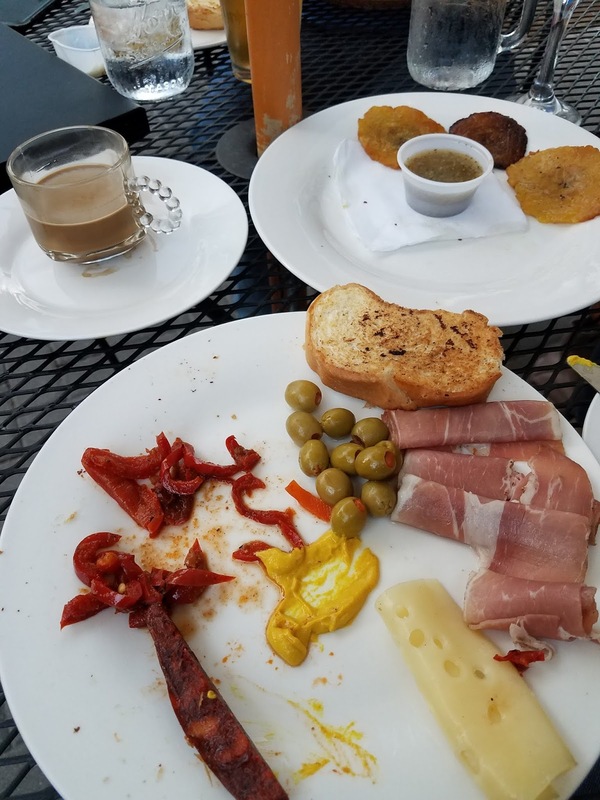 I unwound from life with a dinner (with friends I've known for 20 years) on the patio at a local Cuban restaurant. It was near perfect, minus the lack of vegetarian options. Our barrels for the apple orchard/pumpkin patch/fruits and veggies also make excellent drums. 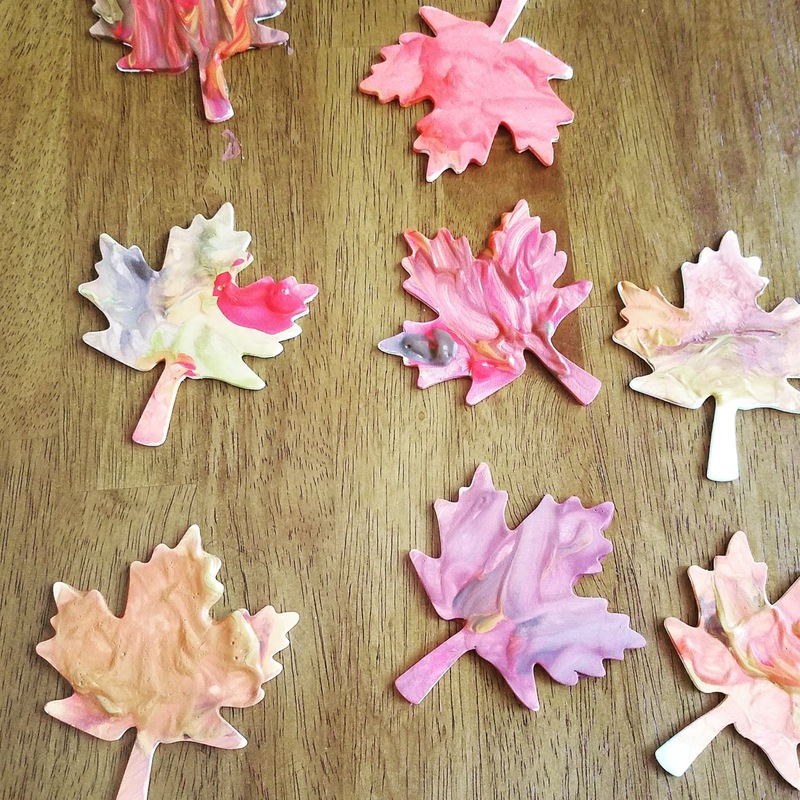 Our fall leaves cookie cutters made the perfect cookie cutter art. 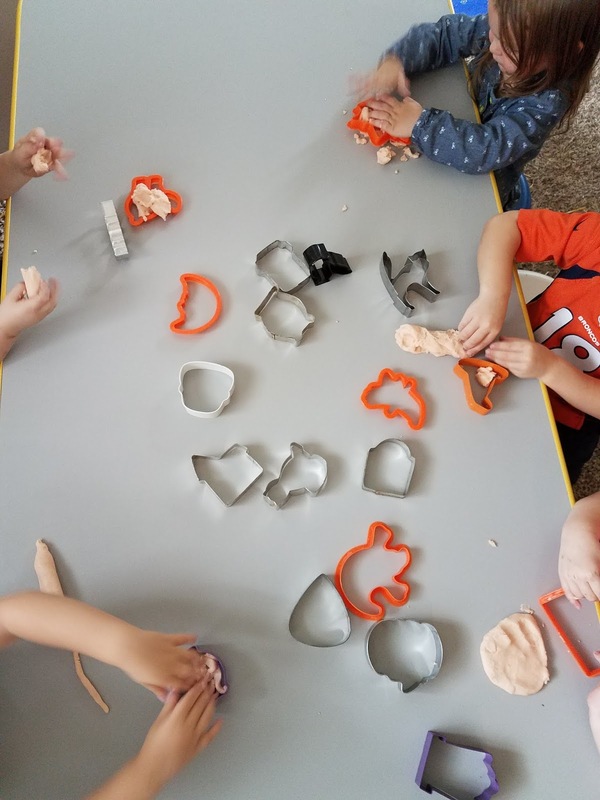 All it takes is one kid to pull out a game or activity before it's THE THING everyone wants to play with. 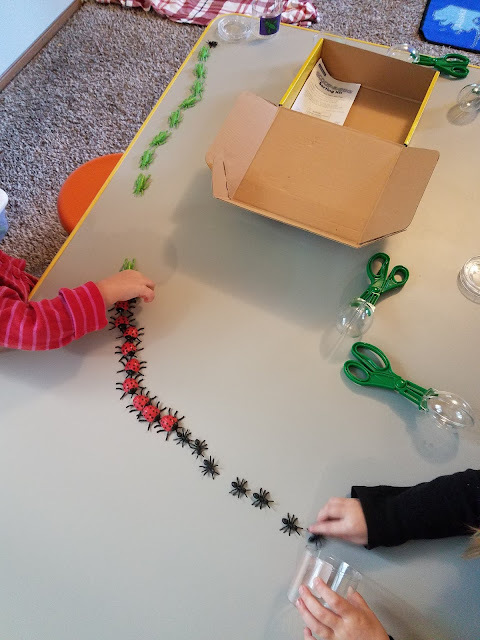 This time it was "the bugs" (also known as Scoop-A-Bug Sorting Kit). 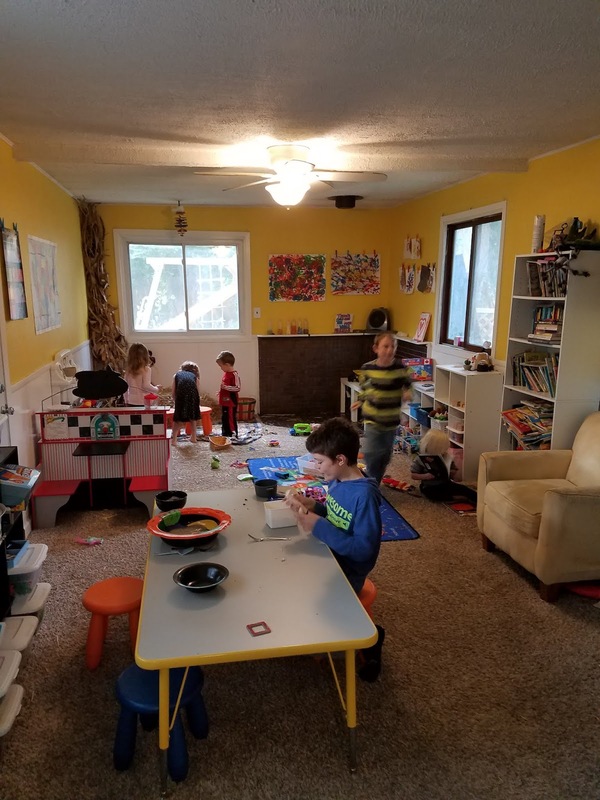 To maximize play and imagination, I only allowed 4 kids at a time to play. 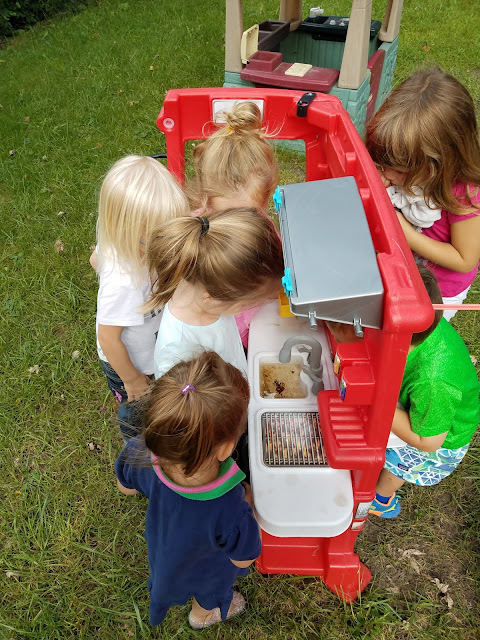 They lined the bugs up, talked about the differences between the bugs, noticed colors, and even grabbed our bug identifying book....all on their own. I'm amazed at what kids can learned from each other and how they can enhance each other's playing. 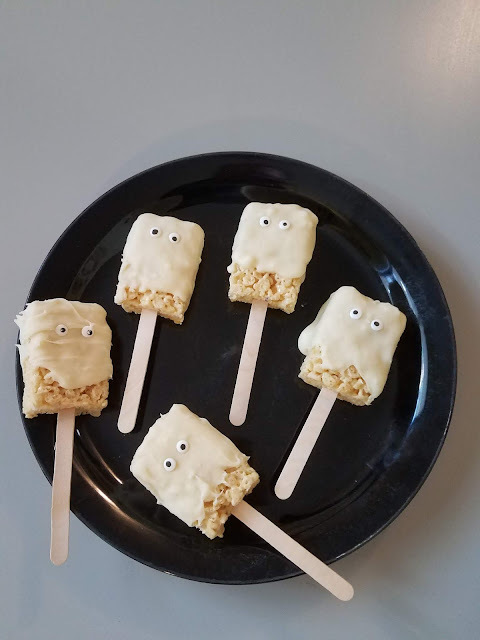 Ghost Rice Crispy treats for snack. 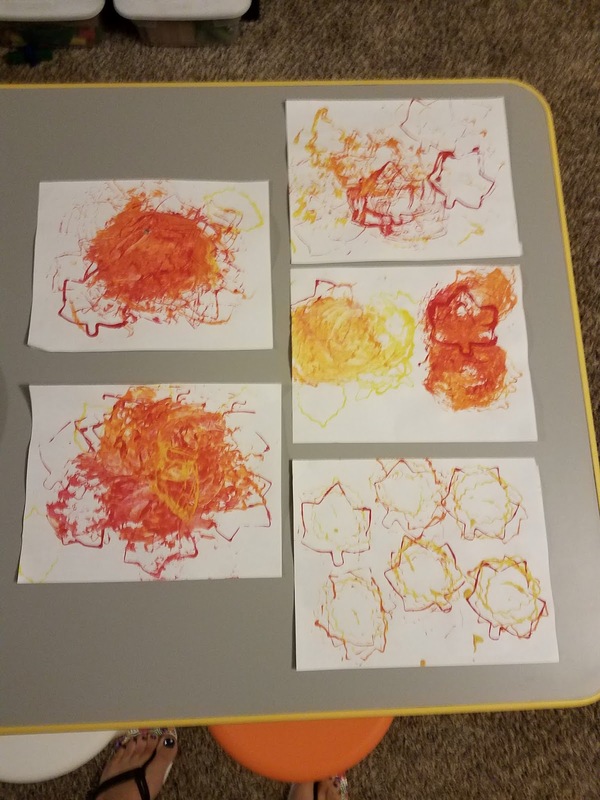 The kids made beautiful fall leaves. I snagged the last wooden leaves from our local Michael's craft store. I was impressed with their colors. 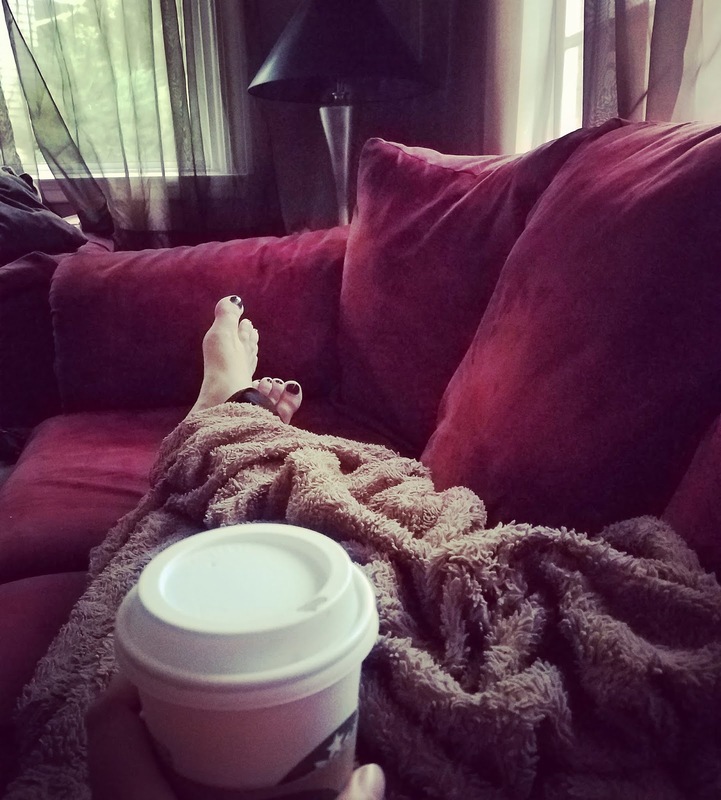 I go from waking up with my kids first thing in the morning, to daycare all day, followed by a house full of neighbor kids in the evening. I love it though. 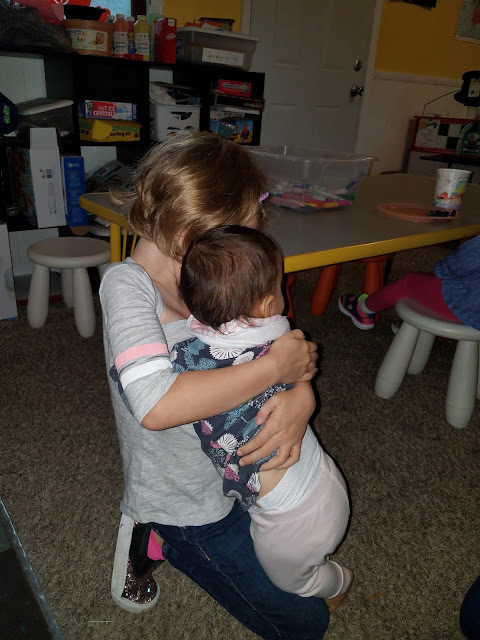 I love that my kids are growing up with other kids and always have someone to talk to and play with. It just means I get very few breaks! I love how differently each child plays. 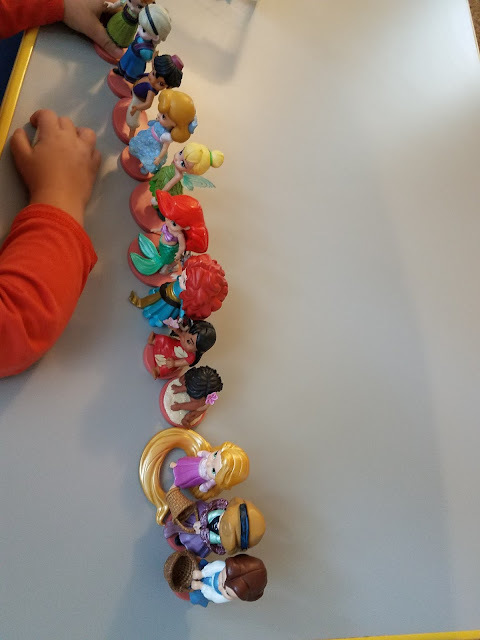 While one child likes to line each princess figurine up, another child likes to have them flying through the air, while another one puts them in size order. It's so interesting just to watch them play. 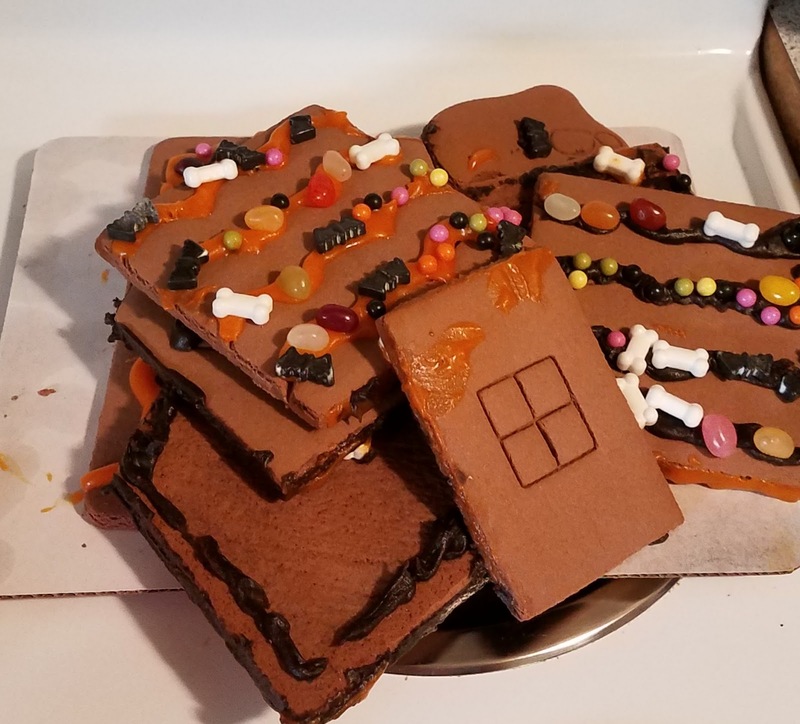 I found a Halloween ginger bread house at Trader Joe's so we put it together....but it didn't stay together! It might have something to do with the amount of touching and pushing on it to put the candies on. Just a guess though. I wake up, get myself ready, wake the minis up, get them ready and off to school, then a have anywhere from a few minutes to a full hour (sometimes more!) to myself. At first I tried to get as much done as possible. Then I told myself to take advantage of the quietness and being alone. Now I sit on the couch enjoying coffee or tea, watching the news, reading, etc. It's probably the most calming part of my day. 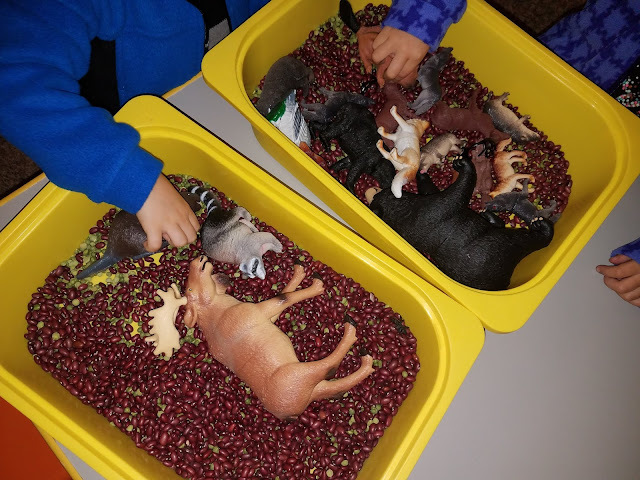 Our forest animals in bins of beans for sensory play. 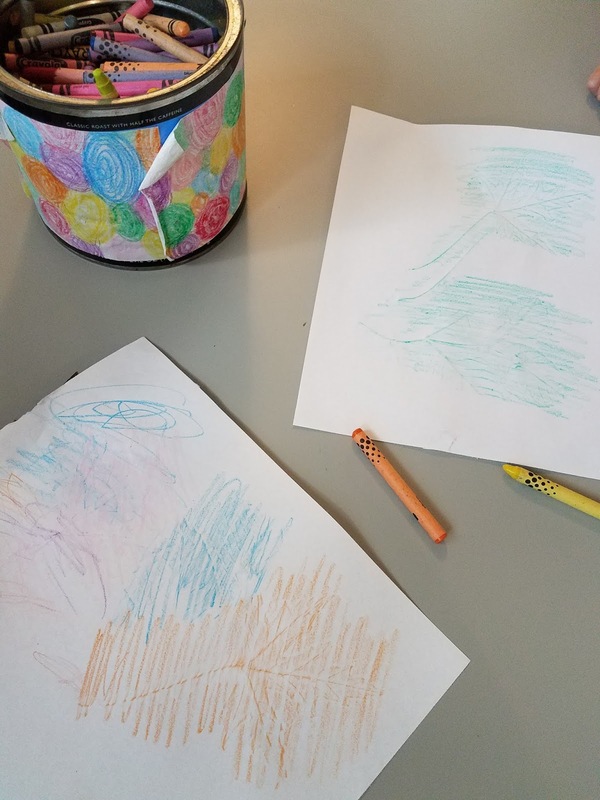 This was a great introduction to talk about what forest animals do for the winter (ie: bears hibernate, squirrels are busy gathering nuts and food for the winter when the ground is frozen, etc.). Noodle play (the noodles are cooked and flavored with pumpkin spice for the season). Most of the kids loved this and played with it all day. 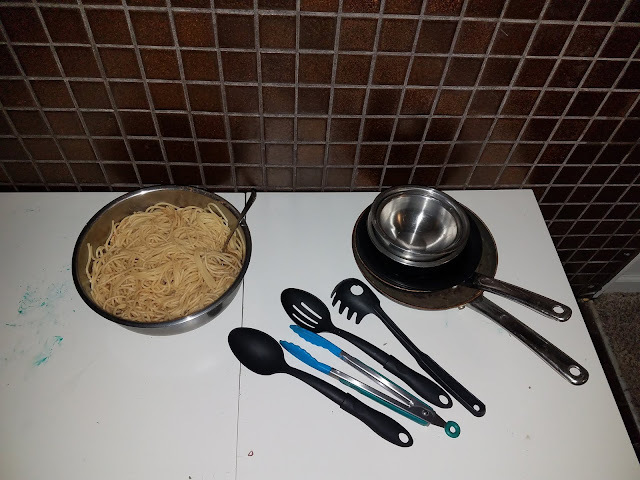 Since the noodles were flavored, not as many as usual were consumed. 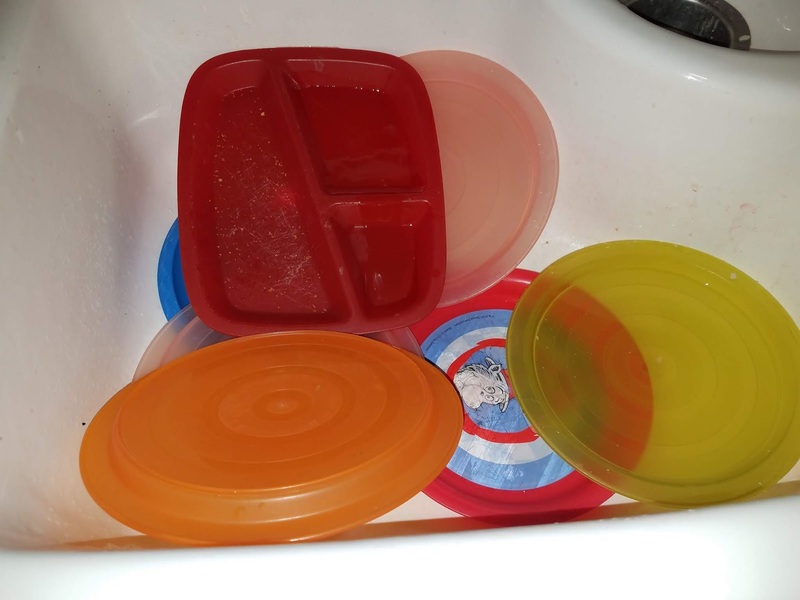 Every child I have clears their own plate, empties it into the trash (if needed) and puts it in the sink. I would love to take credit, however, the big kids get all of the credit for this one. 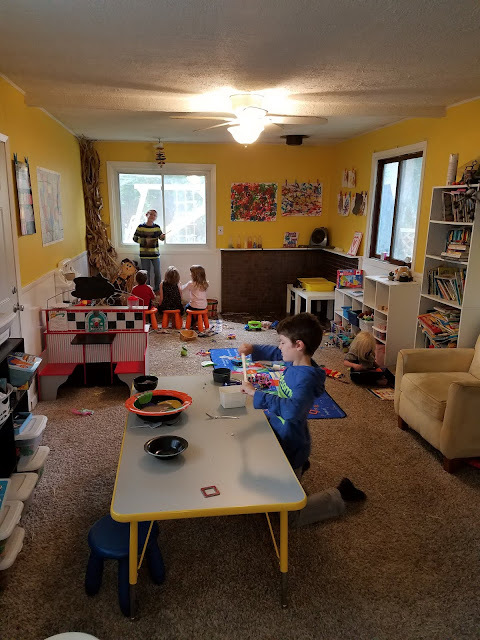 Two summers ago, the littles saw the bigs clearing their own places, washing up, etc. and HAD to do it too. No complaints here! The only thing I have to worry about it wiping down the table after snacks and meals. So many cuddles. Typically during the day I'm constantly on the move. When I'm not, I tend to sit in my yellow chair or on a stool so I can see the room, have a clear line of sight to kids walking to bathroom, and into the kitchen. 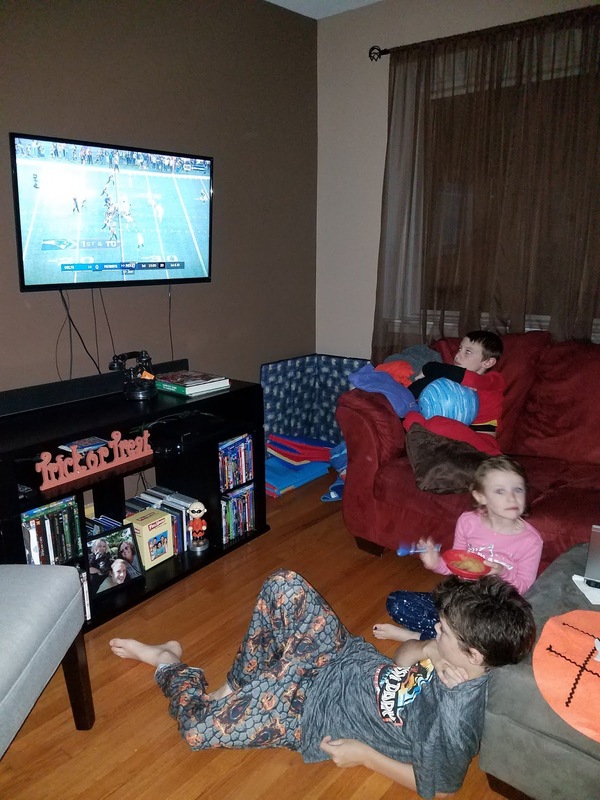 All important things when you have multiple kids to keep an eye on. 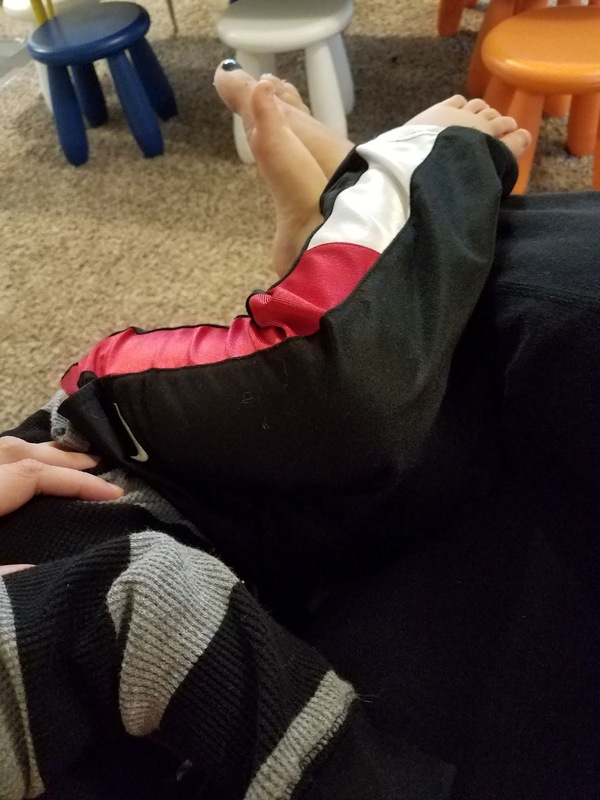 Whenever I sit in my chair, kids will come up and cuddle. I absolutely love it! It's one of my favorite parts of my day. 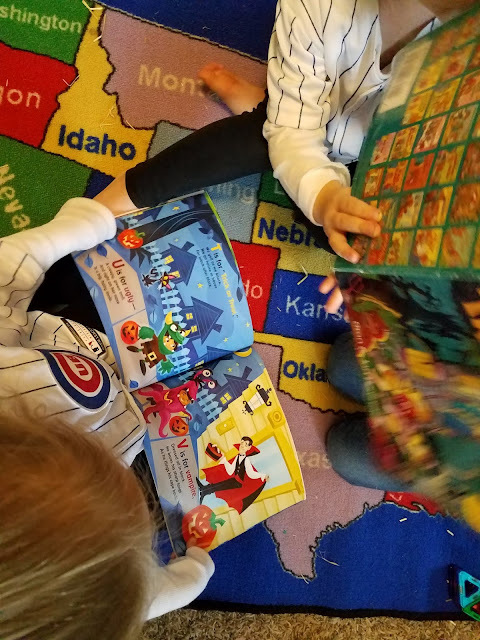 The Halloween books found their way back out. Their favorite is still Room On The Broom. 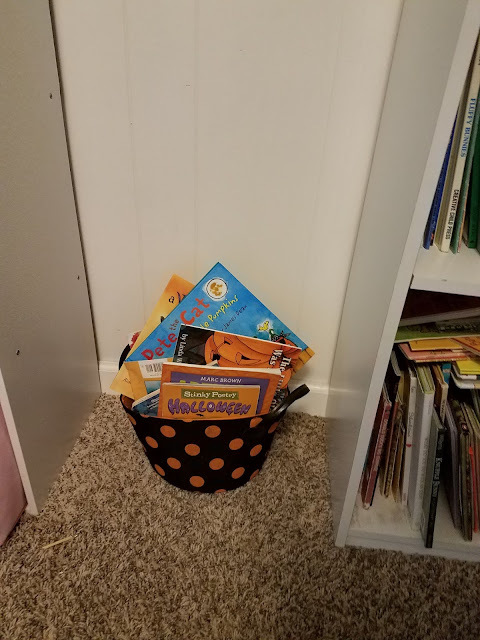 I put all of the Halloween and fall books in a basket next to the book shelves. This keeps them from getting mixed up with the "regular" books, plus the basket of books can be carried around the room to various reading areas. 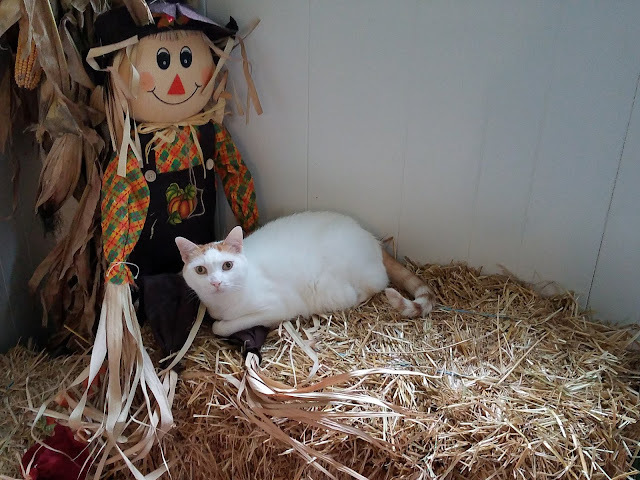 Lately, the kids have taken to reading the books on the hay bales in our "pumpkin patch." Instead of painting our mini pumpkins or using Sharpie markers, we tried out Crayola oil pastels. They worked perfectly and didn't require drying time (as with paint) and no worries about staining clothes (as with Sharpie's). 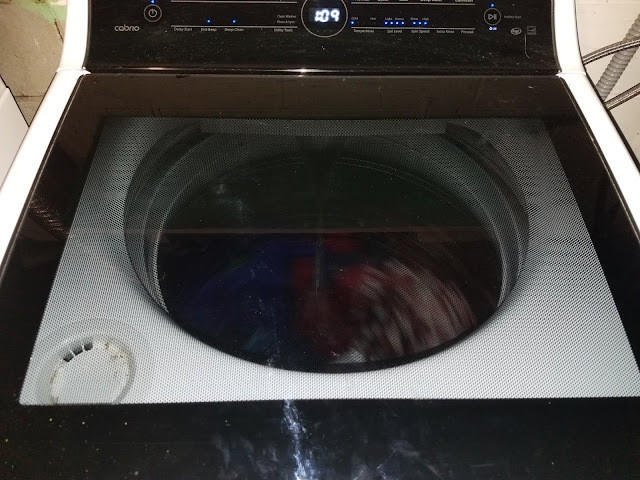 Anyone else have issues switching the laundry from the washer into the dryer? 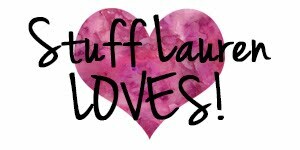 I have no issues starting loads of laundry, but finishing them is another story. I sometimes forget to run down into the basement to switch the laundry or I miss my opportunity (during nap time) during the day to run into the basement. Either way, this load was washed three times before it made it to all the way clean. 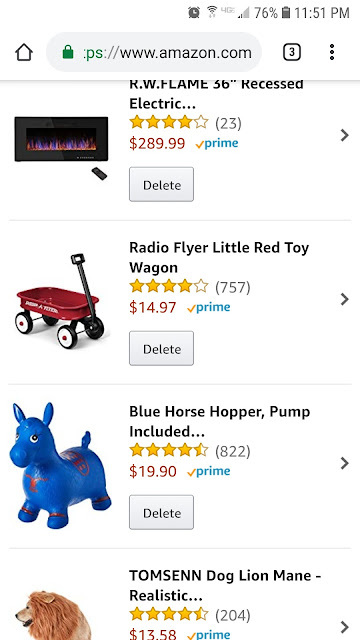 I couldn't remember what I looked up, so I checked our Amazon 'recently viewed' list and I had a good laugh. We have a family Amazon account that we share (and do most of our shopping from). You can clearly tell what my husband has looked at (fireplaces, tools, things for the house) and what I have looked at (toys, a dog costume, more toys). Cousin Nora came for a play date at daycare one morning. It just happened to be the morning Elizabeth was home for a doctor's appointment, so she got to play too. Our "pumpkin patch" is cat and kid approved! 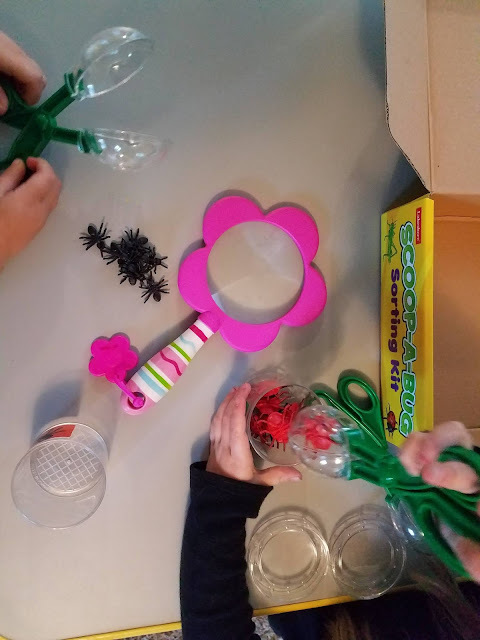 The group of kiddos I have now are suddenly obsessed with sensory activities. Last school year, I couldn't even get them to touch slime. Now we play with it at least twice a week. 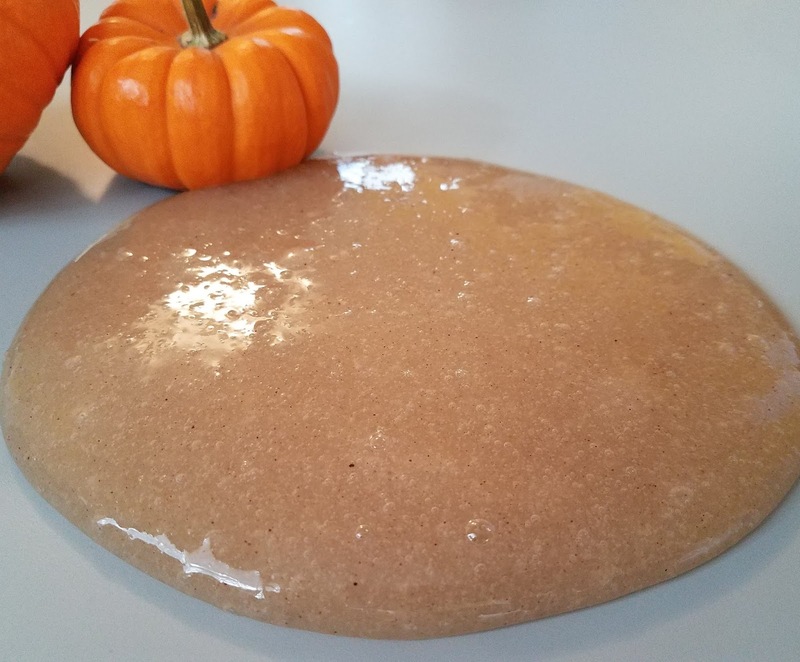 I tried out a pumpkin spice slime. 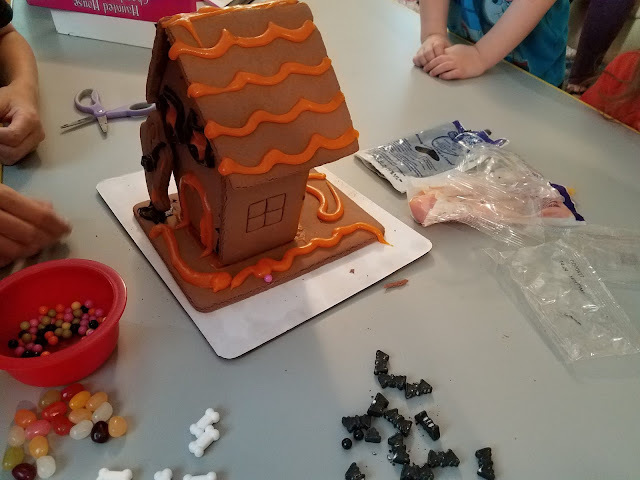 The kids kept commenting "it smells sooo good!" 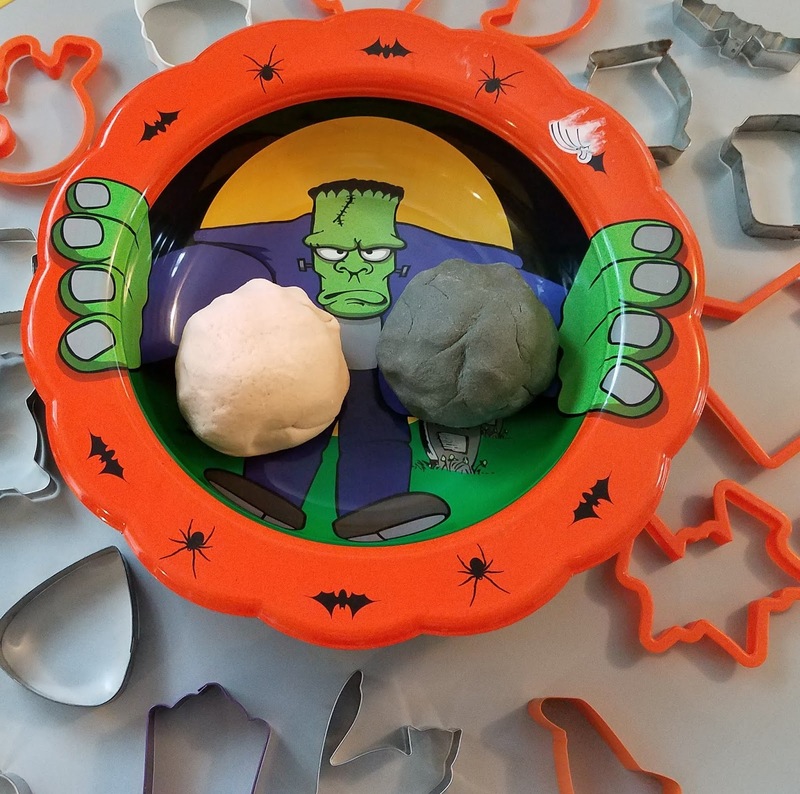 Halloween play dough and cookie cutters. Always a hit. I showed my small Thursday morning group how to do leaf prints. They thought this was the coolest thing ever! Again, they all play so differently. 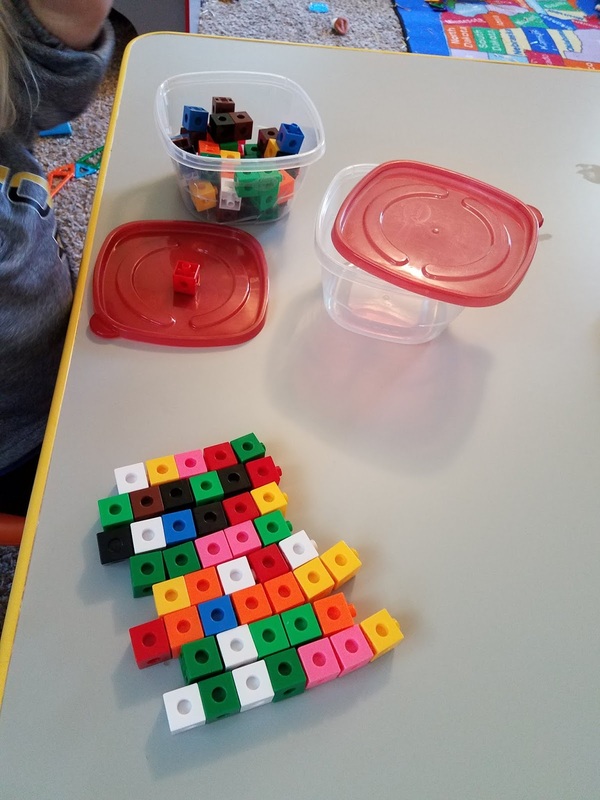 Our block counters are built with, separated into colors, made into patterns, and so much more. 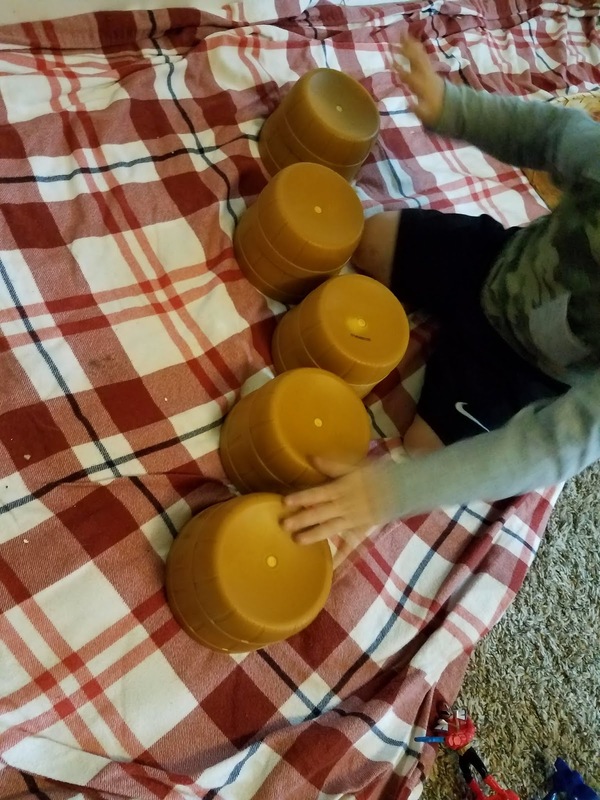 I love how simple things like this give their little minds a work out. I have plenty of variety in my days. I had one kid playing with slime, one kid performing a concert with a witch's broom guitar, and an audience who took their clapping cues very seriously. Thursday night football and vegging because it's almost the weekend. We did our nature walk around the neighborhood. At first the kids were all business and looked forward. 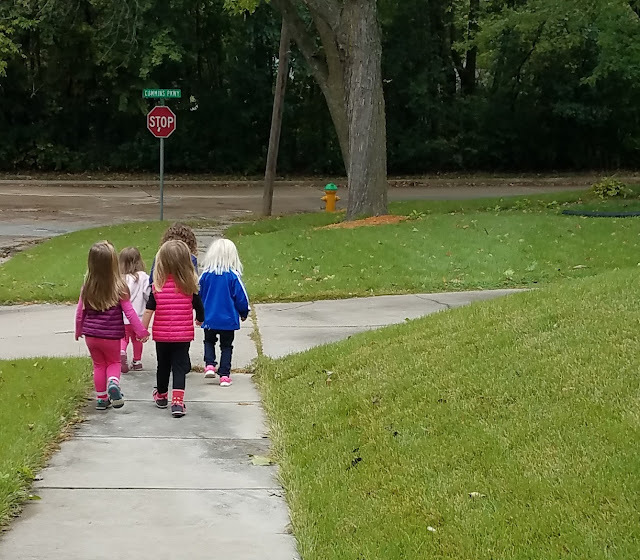 I had to encourage them to take the walk slow (in their defense, we usually take long walks and walk "quickly") and look down at the ground. When they finally got the hang of doing that, we discovered various barks, leaves, acorns, nuts, grasses, and more. We had a great morning before more rain showed up. 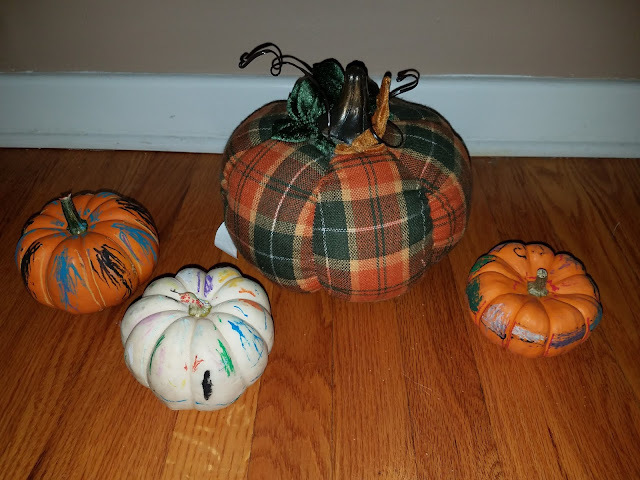 Our next few weeks will be busy with Halloween and fall related activities, including a Room On The Broom Day!